I've been filming some process videos again and I started with the Studio Calico Starlight Kit and stamps this time around. I started out with a photo from Disneyland (naturally!) and some of my favorite patterns from this month's kit to create an interesting, colorful layout that's fun and easy to make. I used a sprinkle of buttons and strong shapes to create movement. That and a few tips on how to bring more stamping into your scrapbook layouts. Take a look at how the layout came together in the video below. For a quick and easy way to get all of your stamped text centered perfectly, remember to stamp first, then glue. 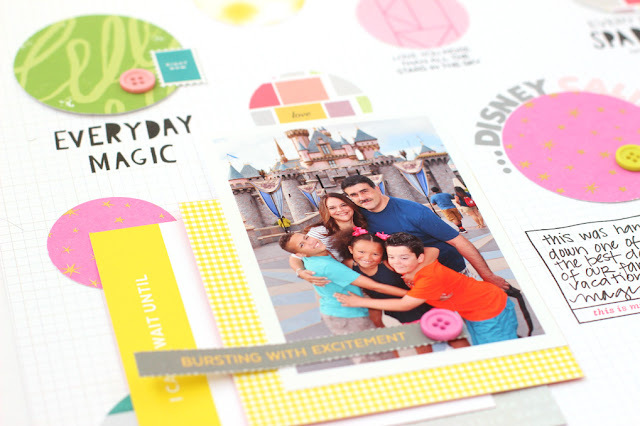 It's much easier to center your paper elements around a pre-stamped image or sentiment. Emphasize the repetition of shape in your design. Nothing adds more fun to a layout than a burst of floating circles. Emphasize the circular design with alphabet stickers, buttons, or sequins. Add a final layer of texture to your layouts with a sprinkling of buttons, sequins, or enamel shapes. The final touch is an important one! 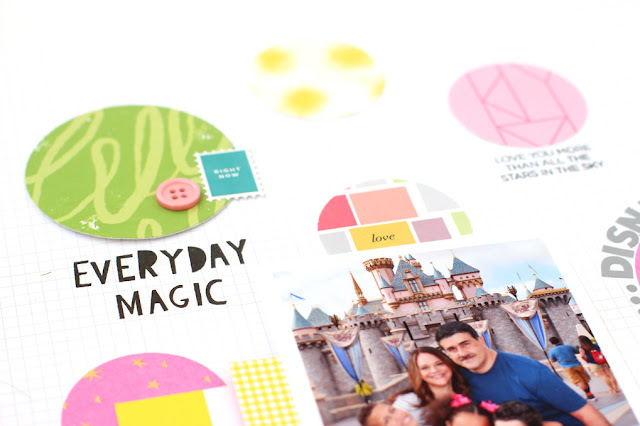 Creating colorful pages with textured elements is a fun way to tell a story! Thanks so much for stopping by and watching today. 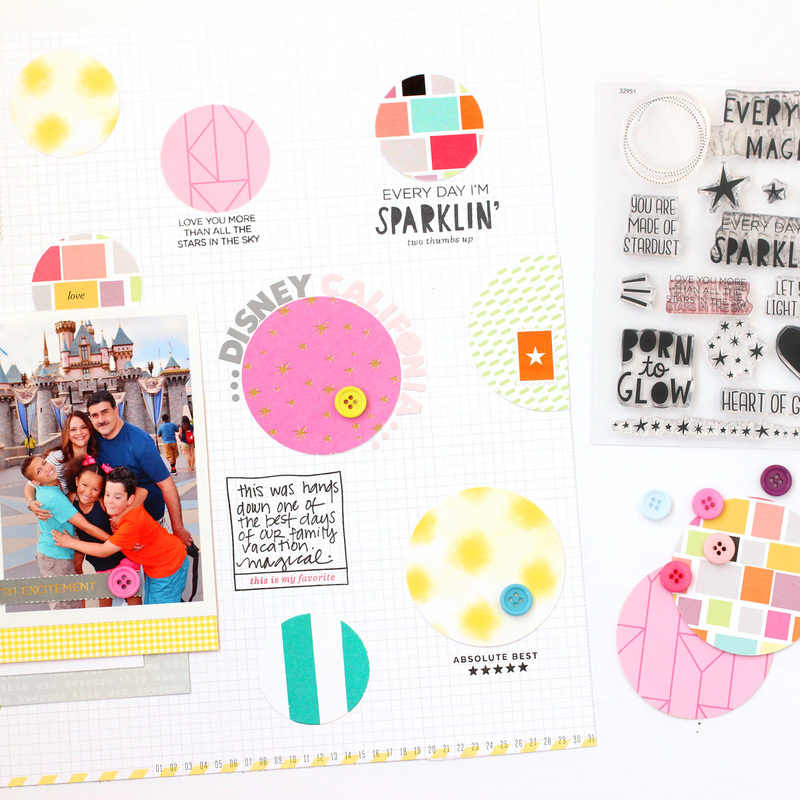 Now go break out your "Starlight" Kit and get to creating!